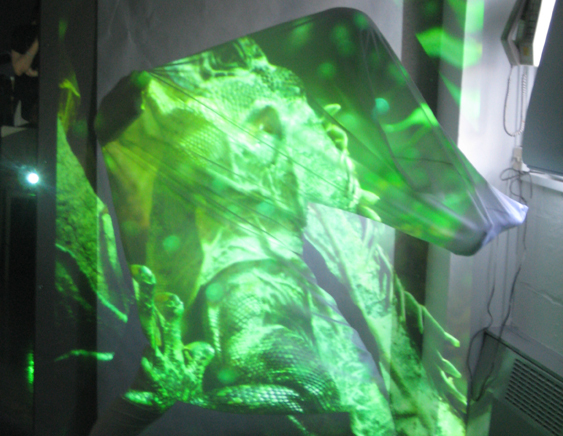 Digital Drape is a technique developed by the MA Fashion Team at Kingston University. 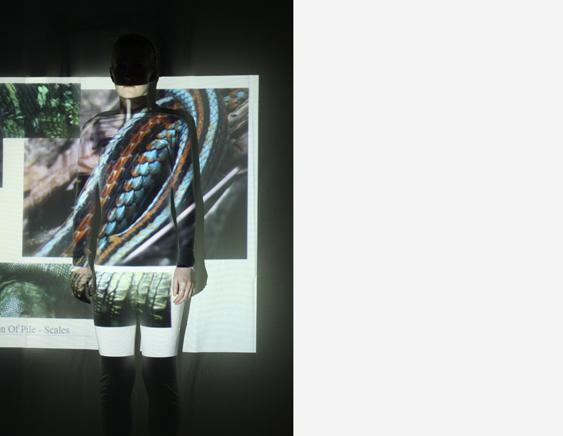 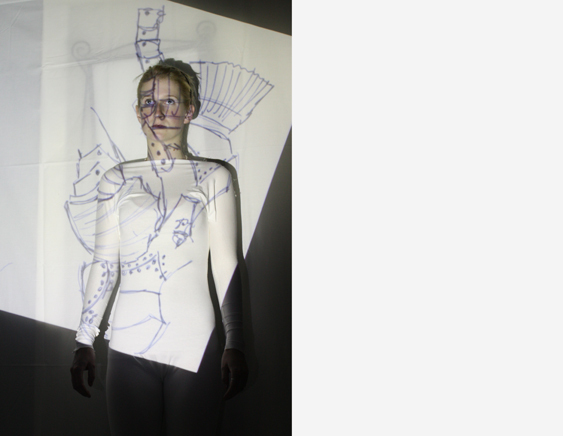 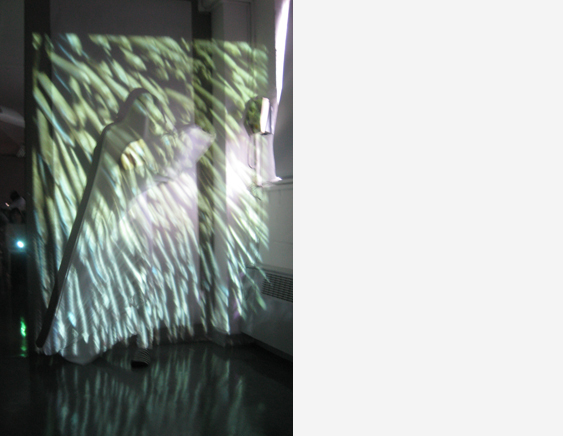 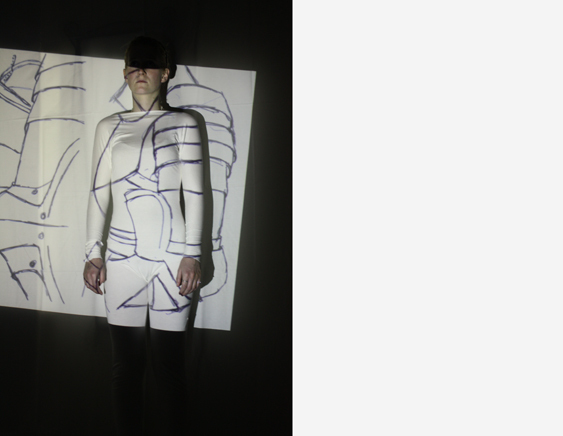 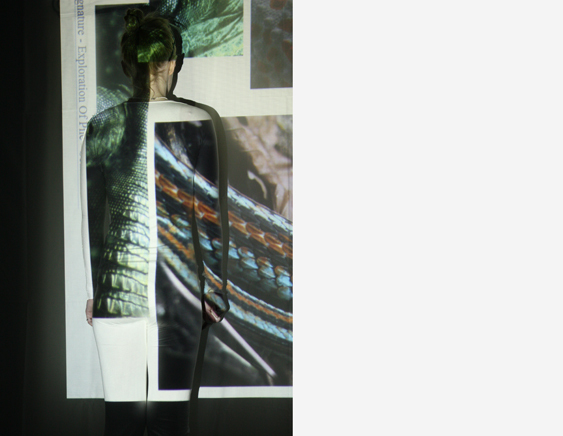 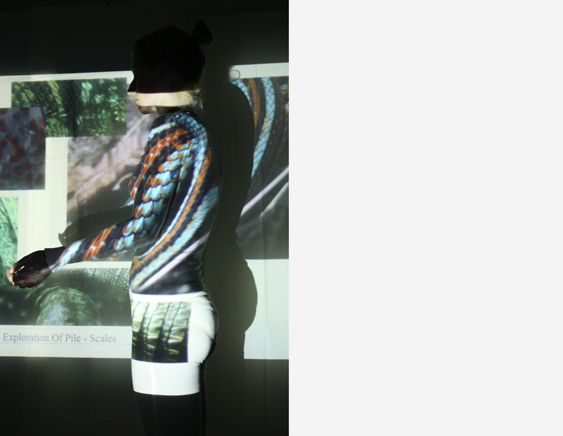 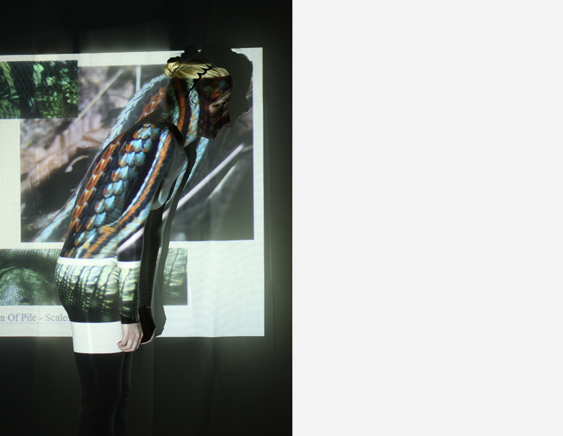 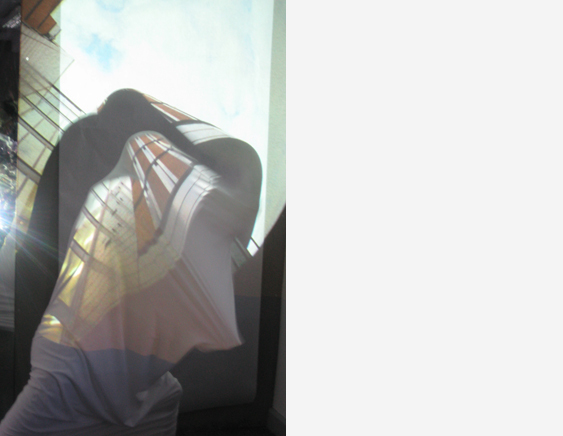 It uses light and projections to form and test quick ideas straight onto the body. 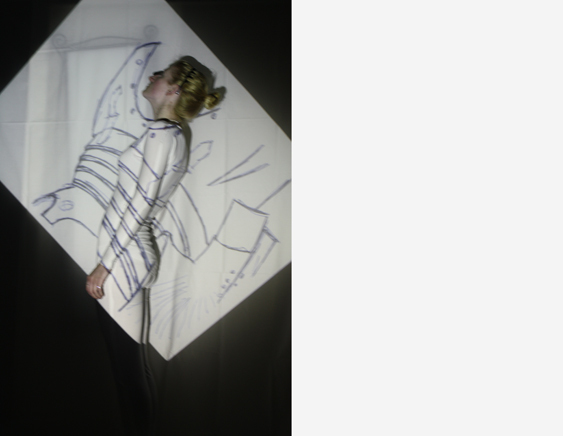 Not only can it be used for print placements and silhouettes but can also be used as a tool to assist creative cutting, drape and garment design. 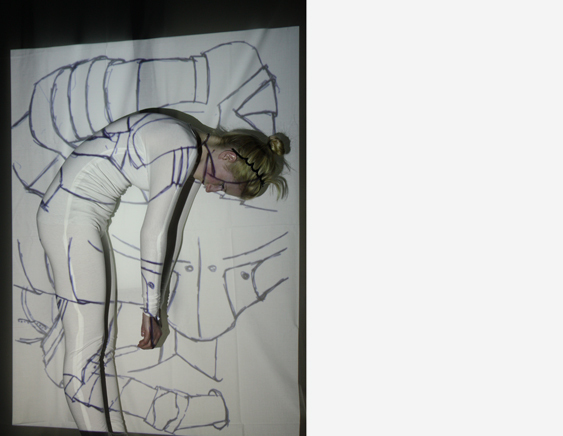 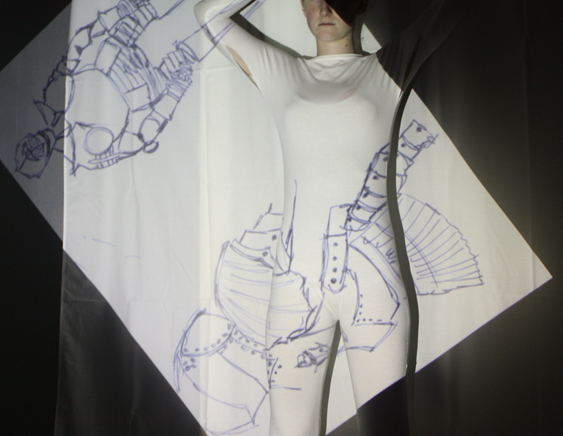 Projecting forms onto and around the body can enable the cutter to quickly draft out shapes and toile.